Q1. 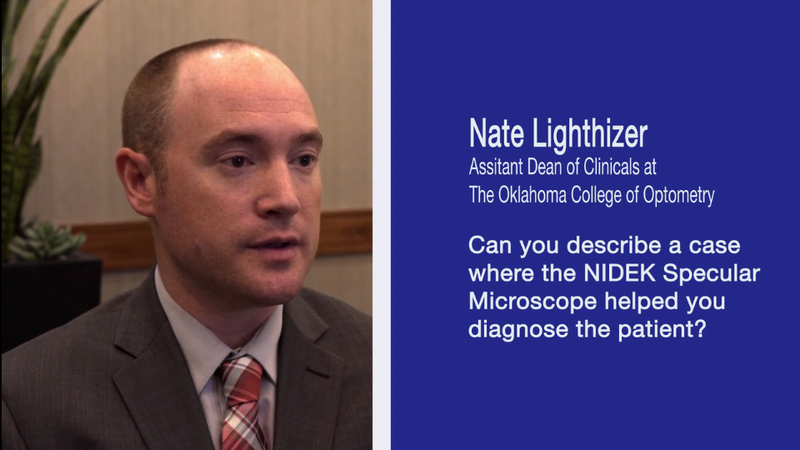 Can you describe a case where the NIDEK Specular Microscope helped your diagnose the patient? Q2. 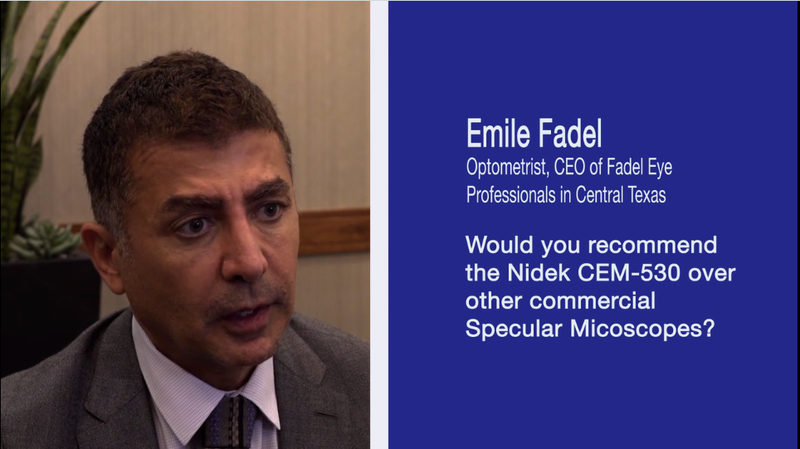 Has the NIDEK specular Microscope changed the way you diagnose and treat patients? Q3. 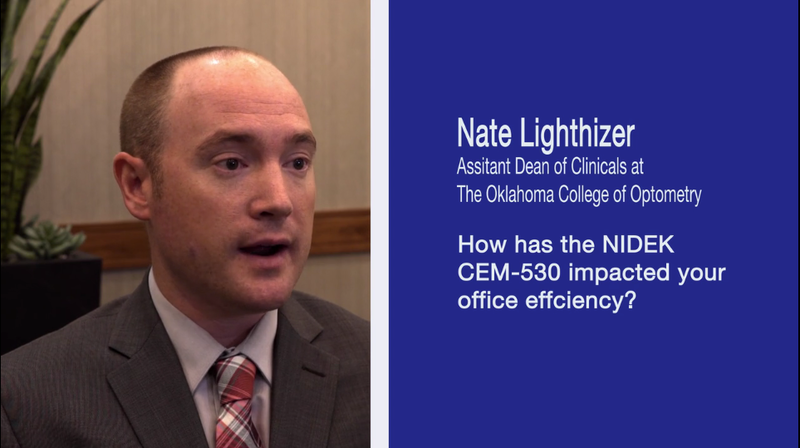 How has the Nidek CEM-530 impacted your office efficiency? Q4. How is the ease of use and does your staff likes the NIDEK CEM-530 Specular Microscope? Q5. 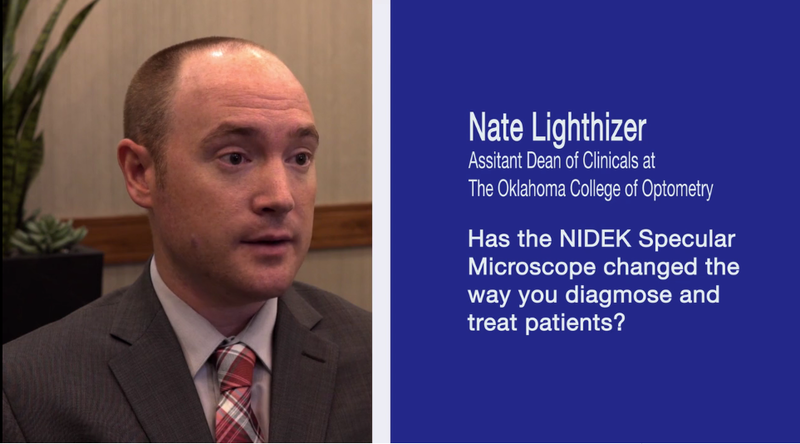 How has the NIDEK CEM-530 Specular Microscope impacted your patient care? Dr. Nathan Lighthizer is a 2009 graduate of Pacific University College of Optometry. Upon graduation, he completed a residency in Family Practice Optometry with an emphasis in Ocular Disease through Northeastern State University Oklahoma College of Optometry. Dr. Lighthizer has since joined the faculty at the Oklahoma College of Optometry and serves as the Chief of Specialty Care Clinics and the Chief of Electrodiagnostics Clinic. He lectures nationally on numerous topics, most notably on advanced ophthalmic procedures, electrodiagnostics, and ocular disease. 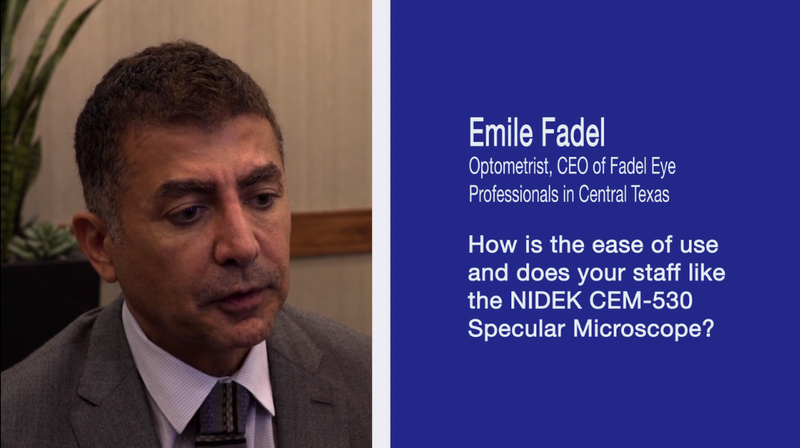 Dr. Emile Fadel has an outstanding 16 years of experience and has been awarded for outstanding work in optometry. Dr. Fadel currently practices in Texas area.